Hi, my name is Darryl Robinson and I own and operate Coastal Sandblasting Ltd.
We help you save time and ensure a longer life for your machinery and other equipment with high quality abrasive sandblasting services, where and when you need them. 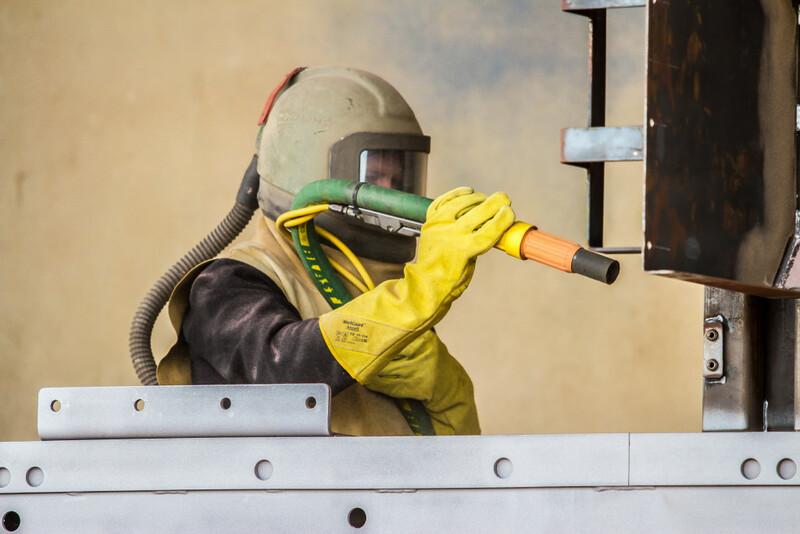 When you work with us, we will guide you through the whole process, from the initial sandblasting to the final coating and paint finish. Coastal Sandblasting offers a complete sandblasting, rust removal, protective coating and painting service. I started training as a panel beater 30 years ago and have had a huge amount of experience, especially with trucks and heavy machinery. This means I know how to repair the machinery I am working on and can advise you on the most appropriate way to restore machinery, structural steel, protective paints and much more. We aim to provide a service that goes further than the typical sandblasting job and help you improve your machinery. As mobile and portable sandblasters, we offer a convenient service. Don’t worry about shifting your heavy machinery or anything else – we will always come to you! We are aware of our environmental responsibilities and take great measures to minimise our impact on the environment. As sand is not actually an environmentally friendly product, we use a ‘Super Garnet’ that has a quality certificate for meeting ISO standards. We will always recycle our materials and look for the most efficient way to complete your service without damaging your environment. From industrial sandblasting on buildings to agricultural machines our abrasive cleaning techniques are designed to minimise the damage to the environment.